Let's face it ladies, makeup is an art form. And as artists, a lot goes through our heads while working on our masterpieces. 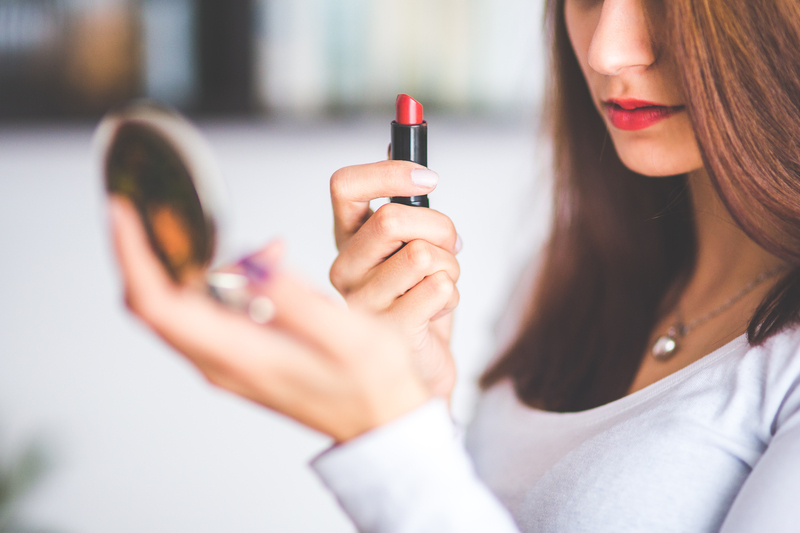 So, whether you're an amateur makeup user, or a full-on beauty guru, here are some of the thoughts that nearly every woman has had while during her makeup. 1. Ugh. I forgot to wet my beauty blender again. I just sat down, and now I have to walk all the way over to the sink. Sigh. 2. Why did I spend $45 on this primer? 3. Does this foundation match my face? 4. Omg, I need to pop that zit. 5. Omg, WHY did I pop that zit? I am gonna need SO much concealer. 6. When was the last time I washed these brushes? 7. Is contouring different from bronzing? I should probably know this stuff by now. 8. Oooh, maybe I’ll try to follow a fun makeup tutorial. 9. Okay, this eyeshadow is actually way harder than it looks. 10. Okay, this time, I’m totally gonna nail this winged eyeliner. 11. Ugh. Why do I even bother? 12. My eyebrows are definitely uneven. My eyebrows are sisters, not twins. 13. Can I pull off a bold red lip? Or can only Taylor Swift do that? 15. Does setting spray even work? This literally just feels like water. There she is. Missed you, sis!